The Cleeve group is based around Bishops Cleeve / Cleeve Hill in Gloucestershire. 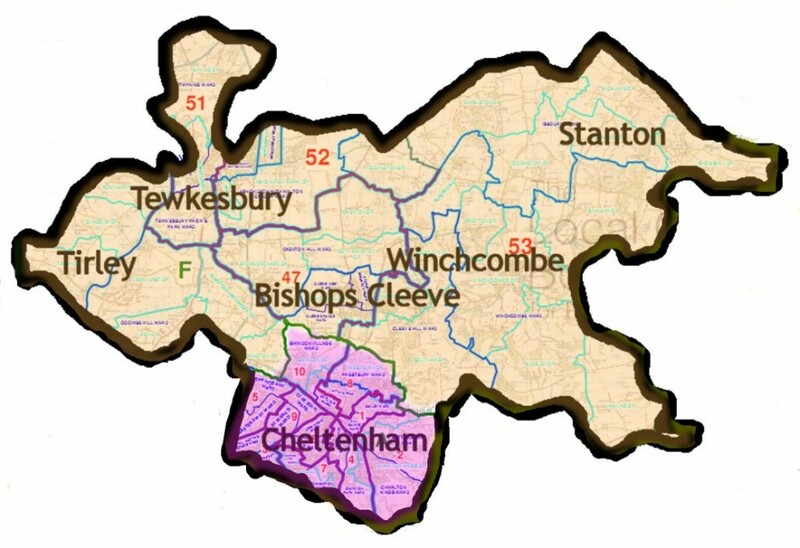 It covers the territory surrounding Winchcombe that ranges from Tewkesbury in the north, to Tirley in the west, Stanton in the east and Cheltenham in the south as shown in the map below. We lead walks every Sunday and on the first Wednesday of the month. The Sunday walk is typically 7-10 miles, and the Wednesday walks usually not more than 5 miles. Sundays will usually include a picnic lunch, whereas the Wednesday is generally followed by lunch in a pub or cafe.We welcome visitors, especially those who are not currently Ramblers members. Just turn up at the start point and introduce yourself to the leader. Join us and enjoy good company, and an enjoyable walk. We receive funding every time you book a holiday with Ramblers Walking Holidays or Adagio. Join the Ramblers and become a member of Cleeve Group.